Myles is currently Managing Director of WEX Europe. Myles founded CorporatePay in 2008 with Charles Mindenhall and Manoj Badale. Under Myles’ leadership, CorporatePay grew to be a leading provider of commercial prepaid solutions. In May 2012, CorporatePay was acquired by WEX Inc., an international provider of corporate payment solutions publically traded on the New York Stock Exchange. In 2013, CorporatePay was named Best Business Card Programme of the Year in at the Cards & Payments Awards (UK) and Best B2B Provider, Small Programmes, by Prepaid365 Prepaid Card Awards. Prior to founding CorporatePay, Myles spent seven years with Retail Decisions Plc, a world leader in fraud prevention and payment services. Myles’ roles included Director of Retail Decisions Europe with profit and loss responsibility for the European business unit and subsequently Strategic Development Director. As Strategic Development Director, Myles founded two joint ventures, Mi-Pay and Digital Payments, which extended Retail Decisions’ product capability into the mobile payments market. Myles started his career with Marks and Spencer joining its Graduate Training Scheme in London. 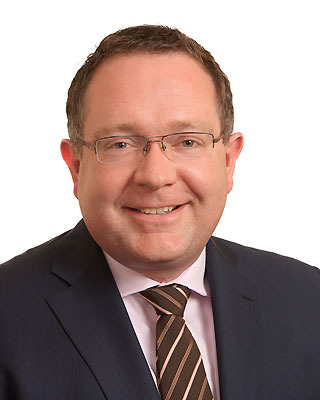 He then joined Marks and Spencer’s Country Management Team in Dublin (for the Republic of Ireland) where he mainly focused on launching financial services products including the “M&S ChargeCard,” ATM services, and gift vouchers as well as managing capital investment projects for the retail store expansion plan. Myles earned his MA in Biochemistry at Christ Church, Oxford University, which included conducting his research project at Padova University, Italy.